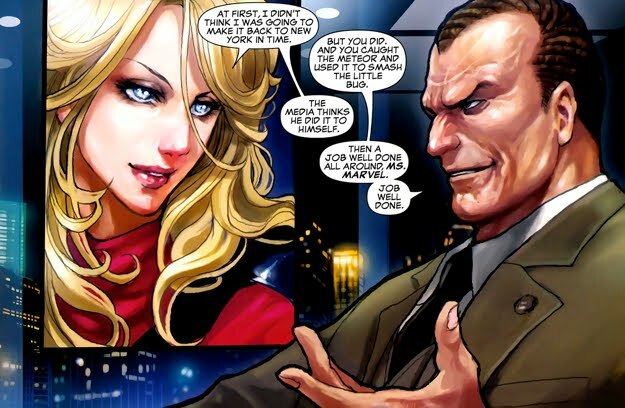 Karla Sofen had ties with Norman Osborn during her days as a Thunderbolt, operating as the reformed villain Moonstone. After Carol Danvers refused to join Osborn, Sofen graciously accepted his offer to become his Ms. Marvel. Sofen was a relatively powerful member of Osborn's Avengers, but she was also the team's resident seductress. Sofen had affairs with both Noh-Varr and Daken and she often found her own personal agenda at odds with Osborn. Either way, she proved to be a valuable asset for Norman, with a relatively strong allegiance to the former Green Goblin. 1. The Grey Gargoyle (aka Paul Duval) approached Sofen in order to join Osborn's Avengers in exchange for handing over the Lethal Legion. Sofen refused. Summarized here. 2. Sofen, alongside Victoria Hand, attempted to detain both Bruce Banner (aka the Hulk) and his son Skaar upon Osborn's request. Summarized here. 3. After Osborn requested that she undergo a psychic evaluation as a part of her matriculation onto his Avengers team, Sofen quickly discovered that the psychologist (Dr. Gerald Wright) was not who he seemed to be. Wright was a rogue psychic working for the C.I.A./S.H.I.E.L.D. and he had infiltrated Osborn's Avengers in an attempt to kill them. Sofen disposed of him quite easily. 4. Sofen was also critical during Osborn's war against the X-Men. Summarized here. 5. Sofen followed up on some of the work of her predecessor (Carol Danvers) and investigated a rogue A.I.M. splinter cell that had grown a new batch of M.O.D.O.K.s. These baby M.O.D.O.K.s established a mental link with Sofen and she ended up rescuing a few of them and safely kept them at the Avengers Tower. Deadpool eventually broke in and stole the M.O.D.O.K.s. 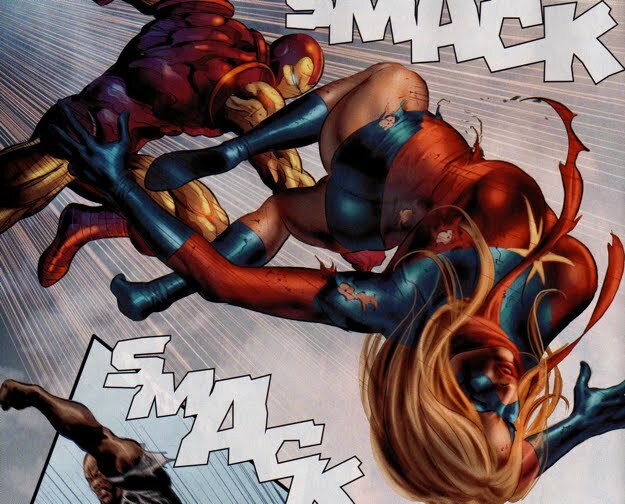 Sofen was later attacked by a being comprised of pure energy, which turned out to be the essence of Carol Danvers. Spider-Man, alongside his underground Avengers, was able to resurrect Danvers into her original form, the true Ms. Marvel. A battle between the two Ms. Marvels ensued and its publicity became a PR nightmare for Osborn. But Norman had his own problems, the pure energy being raided and destroyed a handful of his secret Goblin hideouts. Later, a being resembling Carol Danvers/Ms. Marvel attacked his pregnant lover (Lily Hollister) at his private residence. Lily was able to defend herself however, and attacked the being with a pumpkin bomb. This Ms. Marvel was then placed into Osborn's detention custody. After Catherine Donovan (a genetic match for the original Carol Danvers), who witnessed the two Ms. Marvels very public battle, infiltrated Avengers Tower, Osborn seemingly kills her by melting her face with one of his repulsor blasts. Her body then dissipated into small cubes. 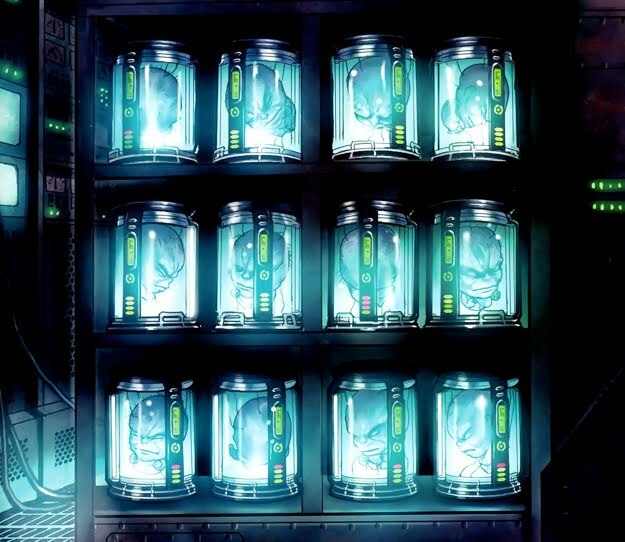 These cubes happened to be the baby M.O.D.O.K.s who were angered by Osborn's actions and decided to take something from him in return for his attack on Donovan. The cubes than possessed Karla Sofen and allowed Sofen's body to be taken over by Donovan. The conflict between the resurrected Carol Danvers and Karla Sofen culminates in a battle in New York City. Danvers had Sofen defeated and removed her moonstone, the source of her powers. She then told Sofen that in order to regain her moonstone, she must forsake her ties with Osborn and become a true hero. Sofen eventually found her moonstone at her mother's grave (Sofen had killed her own mother to keep her from finding out the truth about her villainous life), but she never made an official stance against Osborn. Sofen went to war alongside Osborn during his siege on Asgard. After Osborn's defeat, Sofen was taken into custody by the true Avengers. It took a combination of the real Ms. Marvel and Iron Man to stop Sofen after she made one last attempt to escape from custody. Sofen was sent to the Raft, but was soon re-recruited to the Thunderbolts at the request of Luke Cage. 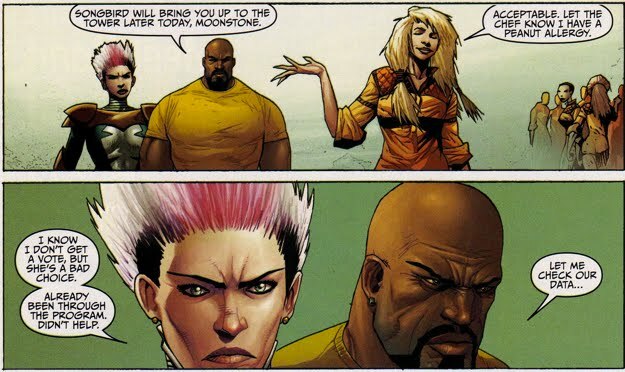 Sofen's stint in prison would be quite brief, as she was very quickly re-enlisted with the Thunderbolts program, which was now under the leadership of Luke Cage. Songbird was a little hesitant to bring her back.